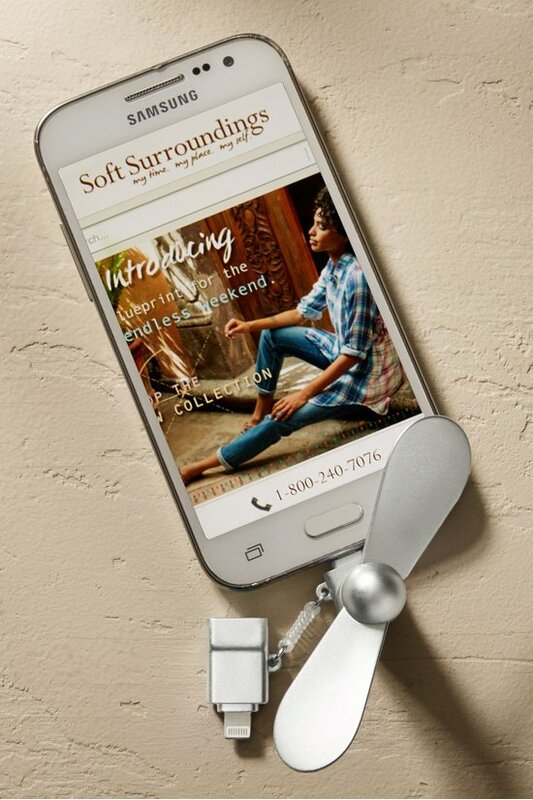 Fan the flames of summer (or that random hot flash) in an instant with this portable, pluggable phone fan. No batteries, no cords, no kidding. It simply plugs into your phone jack to bring sweet relief from the heat. Dual plug works with both Android and iPhone. Available in metallic shades of Rose Gold, Gold, Platinum or Iced Blue. Compatible with IPhone 5 or newer and all versions of iPad. Fan can not connect through thick phone or iPad cases.